Brands, take note. Here’s a lesson in how NOT to tweet. 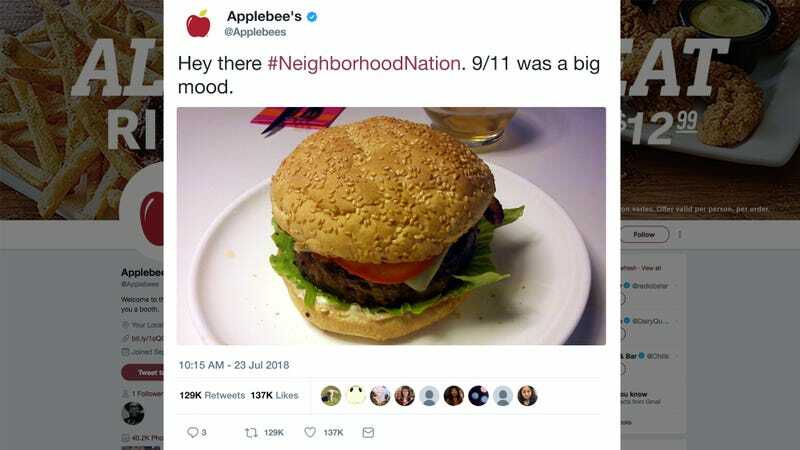 Applebee’s just had to issue an apology after tweeting that 9/11 was a “big mood” with a picture of a hamburger. Someone’s definitely getting fired over this. Yikes. This is a social media fail for the ages. Maybe time to log off, Applebee’s.